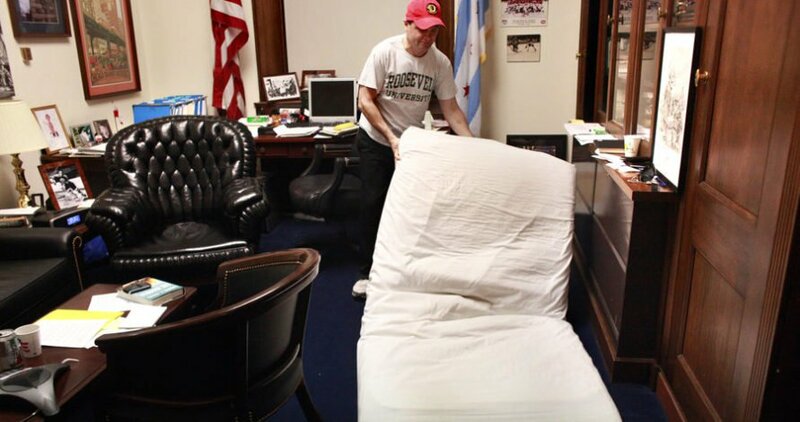 An increasing number of US Congress members have turned into professional squatters at night, sleeping in their Capitol Hill offices to save some money during the work week. And they are blaming decade-long stagnant salaries and Washington’s steep cost of living for their ordeal. said Rep. Dan Donovan (Republican-Staten Island), who credits the cot that he sleeps on in a tiny alcove in his office as the reason he is able to serve in Congress while still paying his New York City housing costs. Many of them previously got extra compensation, or a per diem, when they served in their home-state legislatures to cover their living expenses while at the state capitol. But as members of the House, U.S. reps receive a salary of $174,000 a year a figure that hasn’t increased in nearly a decade and no housing allowance, while working in a city where a sparse one-bedroom pad can start at $2,000 a month. Meanwhile, they also have to pay to maintain a residence in their home state. Members of the Senate seem to fare better, if only because they rake in nearly $20,000 more a year, or $193,400. There are few if any known examples of senators bunking down in their offices overnight.